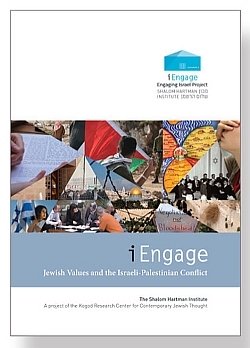 The Tribes of Israel: A Shared Homeland for a Divided People, the second iEngage Video Lecture Series, confronts the challenge of creating a Jewish and democratic public space in the modern State of Israel—a shared common space for a people divided along “tribal” affiliations: religious, ideological, national, and geographic. What is the significance of the State of Israel as a Jewish public sphere? How does a people divided along religious, geographic, and ideological lines build a shared society? The Tribes of Israel begins a conversation to restructure the relationship between the collective and the individual tribes that comprise Israel. Ten curricular units on DVD or USB: Units vary in length and format and include one 30 minute introductory lecture, eight 25-40 minute lectures, some of which are followed by 25-30 minute interviews with experts exploring the complexities of the issues raised in the lecture, and one 40 minute concluding unit comprised of expert interviews. Leader’s Guide on USB: Video explanations by Rabbi Dr. Donniel Hartman for each of the texts featured in the sourcebook, highlighting their particular contextual relevance.